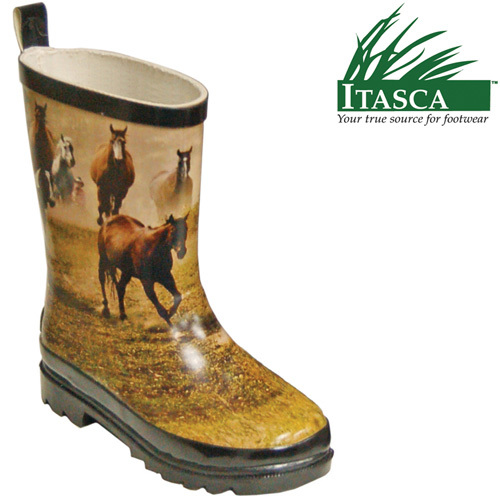 When rain the starts falling, the Misty Pony rubber boots from Itasca are ready to keep your feet clean and dry. Pretty and cute and playground tough! As comfortable as they are stylish, these rubber boots will make your child the envy of other kids. 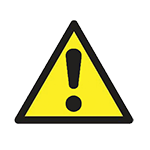 Strong enough to handle all of Mother Nature's harsh conditions. Features include: waterproof construction, traction rubber outsole, rear pull-up strap, and cotton lined for added warmth and comfort. Color: Misty Pony imprinted rubber. Youth's size 6.